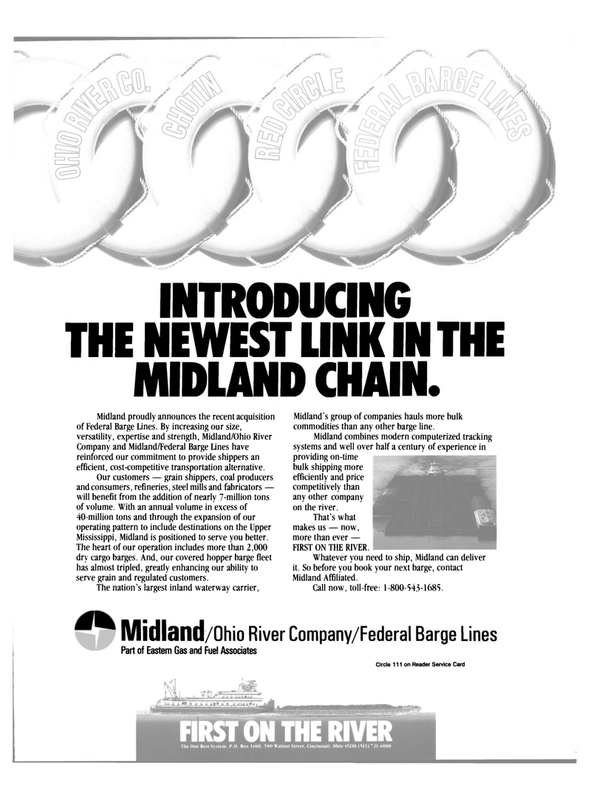 Company and Midland/Federal Barge Lines have reinforced our commitment to provide shippers an efficient, cost-competitive transportation alternative. Mississippi, Midland is positioned to serve you better. The heart of our operation includes more than 2,000 dry cargo barges. And, our covered hopper barge fleet has almost tripled, greatly enhancing our ability to serve grain and regulated customers. Midland's group of companies hauls more bulk commodities than any other barge line. Midland combines modern computerized tracking systems and well over half a century of experience in providing on-time bulk shipping more efficiently and price competitively than any other company on the river.